My Appointment | The Laser Suite | Book appointments online hassle free. Offering result driven treatments with top of the range equipment. Professional and personalized. With the latest in SPL technology the Yperion Or-Light delivers fast and effective results for removal of unwanted hair, sun induced pigmentation, freckles and age spots, broken capillaries, fine lines and wrinkles, puffy eyes and dark circles. 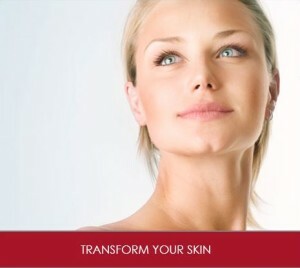 With a passion for skin, Superficial Chemical Peels and Collagen Induction Therapies (also known as microneedling with Dermaroller and Dermapen) are amongst the services being offered, treating uneven skin tone, acne, pigmentation, ageing, fine lines and wrinkles, loss of skin tone and scarring. Microblading, a manual, semi-permanent method of creating natural hair like strokes to enhance, fill and shape eyebrows that are thin, light or overplucked. Results can last anywhere from 1-3 years, depending on different factors affecting the procedure. A touch up once a year is recommended to retain the shape and saturation of the pigment. It is absolutely imperative to have a touch up done 3-6 weeks following the 1st treatment, as it is difficult to predict how well the skin will retain the pigment. A very fine blade is used to deposit pigment into the epidermis. Because we're impacting colour closer to the surface, the strokes appear crisp and very fine. Brows will appear darker initially but fade significantly over a two week period. Complimentary consultations to discuss your skin concerns are offered to give you the best expert advise.